Casumo Casino is a company that saw the day in 2012. The owners claim a parallel universe compelled them to create something different. And by the look of things they certainly accomplished their mission! Indeed, Casumo is a gamified casino. Which means there’s loads of challenges for you to take part in and lots of rewards up for grabs. Casumo is a very stable company that has his HQ in Malta. What’s more is that they pride themselves in offering many games and some of the best jackpot slots too. In fact, they’ve already made many British millionaires, and many trust them for this reason! General Concept: a gamified casino with different worlds. Game providers: Play’ n Go, Microgaming, Greentube, Thunderkick, NYX Gaming, SG Digital, QuickSpin, NetEnt, Bally, Barcrest, ShuffleMaster, IGT, NextGen, Elk Studios, Evolution Gaming, Merkur, Push Gaming, Blueprint and many more. Special features: Daily races, level up and earn belts, trophies and extra rewards. Customer care availability: Open daily 24/7 via live chat and email. Payment methods accepted: Visa, MasterCard, Skrill, Neteller, Paysafecard and Bank transfer. Very much like the casino, Casumo’s welcome offer is unique! Indeed, know that if you want to give this casino a go, you can claim 20 Free Spins no deposit on Starburst. And the casino’s generosity doesn’t stop there. In fact, if you deposit Casumo gives you something extra for your first five deposits. But, you’ll kick off your adventure with a 100% bonus up to £300. What’s more is that the wagering requirements on both the Free Spins and bonuses are very fair. Indeed, you’re only required to play the bonuses and Free Spins 30 times before withdrawing. Additionally, it’s worth pointing out that while you wager your first bonus, you’re allowed to place bets up to £5 per spin. For more information on the bonus terms, we’d recommend you to read the ts and cs thoroughly. 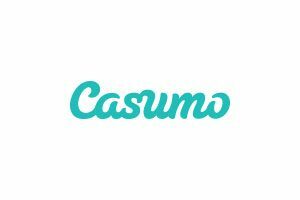 Very much like other gamified casinos, Casumo doesn’t have a VIP program as such. In fact, the loyalty program is fully integrated into the website. Which means you’ll level up as you complete specific tasks and you’ll win extra rewards too. What’s more is that loyal players will frequently find Free Spins on new games when they log in and even reload or “dep and get” bonuses. So there’s more or less always something new to claim when you log in and want to play. Additionally, it’s worth pointing out that this casino hosts daily wager race and win races. And if you manage to take the pole position in any slot tournaments, you’ll win a little extra which can either be Free Spins or instant cash rewards. Without a doubt, this casino has one of the friendliest customer care department we’ve had the chance to evaluate. In fact, if you get in touch with the agents they’ll greet you with a “Howdy mate”! or “How’re things going for you”? Which let’s be frank is quite refreshing from the standard “hello how may I help you”? And gives you the feeling that your questions are always welcome. What’s more is that the agents are not only quick to reply on chat and emails, but they always seem to have a proactive solution to any problems players have! For all these reasons, it’s with no hesitation that we’d recommend you to have a spin on this casino. It’s a truly unique website, and they know how to treat players well! Start your adventure by claiming a casino bonus and have fun!